How can we make toys out of old milk bottles using more than just imagination? With a 3D printer, of course! 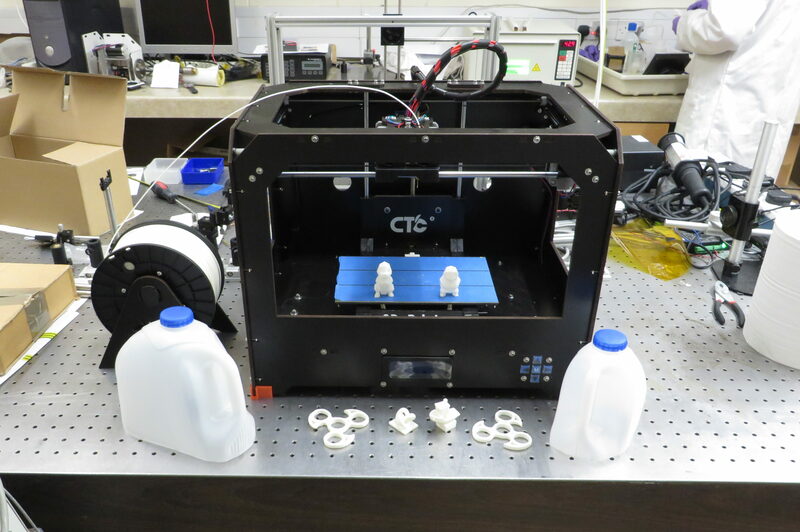 Join us for an afternoon of recycling at its most fun as we turn your old milk bottles into cool toys using science and state-of-the-art 3D printing technology, and learn how these amazing machines work, with researchers from Heriot-Watt University.